Blog / Blog / Blog / Radio-Ready: What Is It And Are You There? by D Grant Smithupdated on June 12, 2018 May 29, 2015 Leave a Comment on Radio-Ready: What Is It And Are You There? I listen to a lot of indie, unsigned, DIY, and label artist every day. Many of these artists are making music submissions for The Appetizer, and honestly I’m looking for new music to feature on our syndicated radio show. Though I listen to a lot of music, I hear some great talent and I also hear many artists that are missing some of the quintessential elements needed to get their music on the radio. I’m not saying that I have certain qualifications that other radio programs or stations don’t have. Actually we’re all in harmony with what it takes for a new band to get heard. You’ve probably heard me use the term “Radio Ready” a few times. What does radio ready really mean? 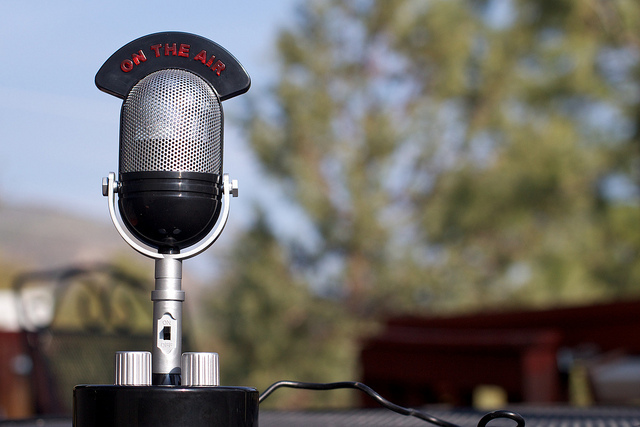 More importantly, how can you know if you are ready for radio airplay? Honestly that last question is one that very rarely is asked by artists and musicians, and tragically so. The crux of the radio ready signification is having music at the level of airplay worthiness. It’s having a combination of key elements that every radio and media professional (from music directors to station managers to music curators) are looking for. Does that seem too easy? It’s not, because there are tons and tons of artists who submit music who don’t have these elements. I explain what these elements mean and how to ensure that you are at the level where you meet these 3 things in this FREE PDF. When an artist asks why their music was accepted for a submission but they didn’t get the airplay they thought they would receive, it’s often likely that the initial listen by the radio or media professional sounded good enough to warrant a submission, or a look at their other work. But that following listen didn’t produce the mark that they were looking for. The band didn’t have a radio ready sound through and through. Which brings us back to, what does it mean to be Radio Ready? I’ve laid out the 3 big qualities that your music needs to have to get radio airplay on not just the local or regional music stations who carry indie and unsigned artists, but also the larger music curator hubs like NPR Music, Paste and Pitchfork. If you want to have a chance of getting on any of their grids, or even getting picked up on indie web stations, go ahead and download my free PDF Get Radio Ready. This is one of the best free resources available to you to get your music in the right place to make your radio submissions really work. When artists just send out an email with a link to their music, or if they just mail a CD to a radio outlet without making sure their music is at the level where radio decision-makers are going to approve, they run a big risk of not getting airplay or feature. Do you want to know how to make radio submissions that are incredibly effective, get your music played on stations and help you grow your audience? Good, I’m going to give you the chance to learn how to get picked up by radio stations across the country. And you’re going to get the cumulative wisdom, lessons learned, and insights that have taken me years to learn, all without having to go through the trial and error that it cost me (and others). Take these insights and expand on them with The Indie Radio Promotion Course, the first ever online training for DIY Artists and Unsigned Musicians to get radio airplay. The course includes videos, a PDF Handbook and several videos illustrating how to do everything. Click Here to sign up now!